“Water: A Necessary Conversation” brings together contemporary art and past posters focused on water as a vital and limited resource. It includes abstract and representational artworks by 20 contemporary artists working in an array of media from painting, prints, video, and photography. Curated by art historian Susan M. King, the selection of works strikes a dialogue between past and present art meant as a social lever around water issues. The exhibition and related programs is an art and activism project of the Southern California Women’s Caucus for Art with assistance from the Center for the Study of Political Graphics. Curator Susan King is an art historian and artist who currently teaches at Loyola Marymount College and Laguna College of Art and Design. Her areas of expertise include modern and contemporary art and design. Running concurrents with the exhibition, a “Stakeholder’s Conversation” on “Water” will take place on Saturday, December 5, 2015 at Avenue 50 Studio in Los Angeles. Join curator Susan King in a participatory discussion that will feature an artists panel comprised of Mariona Barkus, Danielle Eubank, Brenda Hurst, Ann Isolde and Sheila Pinkel from the collective “Artists Formerly Known as Women.” The panel will address the pleasures and pitfalls of making activist art as well as an open exchange about the artworks that as visual messages on the many public issues concerning water. 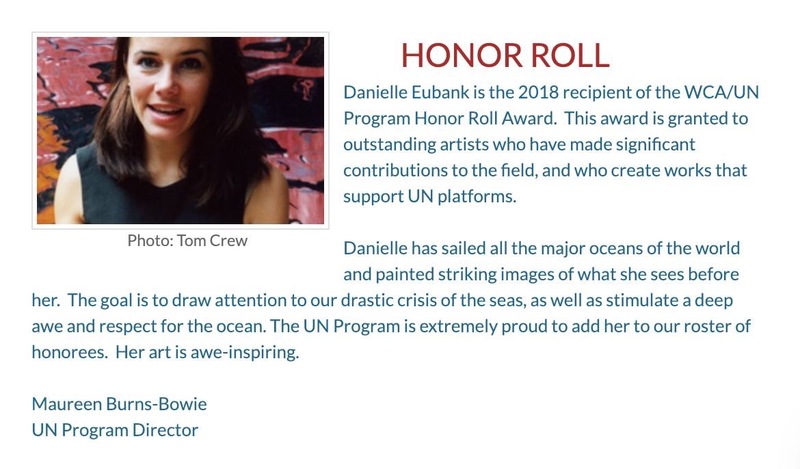 PARTICIPATING ARTISTS: Elaine Alibrandi, Melissa Richardson Banks, Mariona Barkus, Andrea Broyles, Danielle Eubank, Karen Hansen, Shelley Heffler, Brenda Hurst, Ann Isolde, J. J. L’Heureux, Yana Marshall, Andrea Monroe, Eva Montealegre, Therese Moriarty, Sandra Mueller, Seda Saar, Karen Schifman, Susie Stockholm, Stephanie Sydney,Teresa Young and the “Artists Formerly Known as Women” collective. 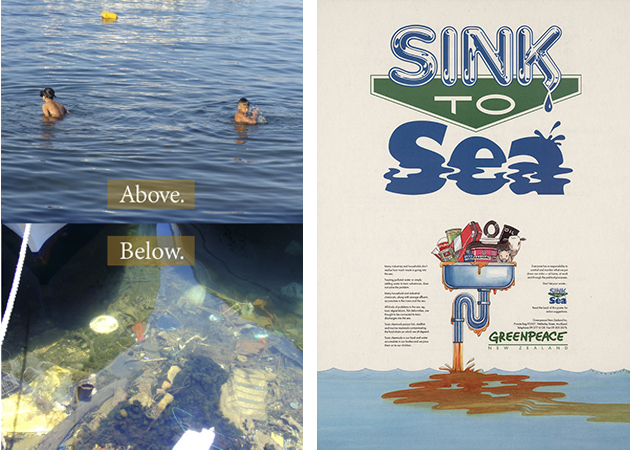 Image Credits: “Above Below” 2015 by Danielle Eubank and “Sink to Sea” Greenpeace Poster by Manu Smith provided courtesy of the Center for the Study of Political Graphics.